Conveniently located close to shops, restaurants, public transport, schools, beach and golf course. A pet may be considered upon application. Property will be available from Tuesday 7th May 2019. Please register on line to view the property. We have in preparing this information used our best endeavours to ensure that the information contained herein is true and accurate, but accept no responsibility and disclaim all liability in respect of any errors, omissions, inaccuracies or misstatements that may occur. Prospective tenants should make their own enquiries to verify the information contained herein. Is Miami asafe and nice environment to spend my exchange year in? 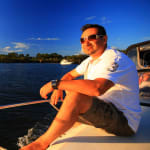 what high school on the gold coast is best for our ASD son..
Real estate blog & ask an agent (me!) any questions! Im moving to Miami but heard Miami High has a bad reputation. Is this true?